The whole world is looking at eSports right now. The market is obviously skyrocketing and everyone wants to jump on the bandwagon. In this post, we’ll go deeper into some fresh demographic trends associated with the eSports fan and their perception of paying for content. In fact, according to the new Newzoo report, the global esports audience will climb to 385 million in 2017, consisting of 191 million eSports enthusiasts, or fanatics, and a further 194 million occasional viewers. 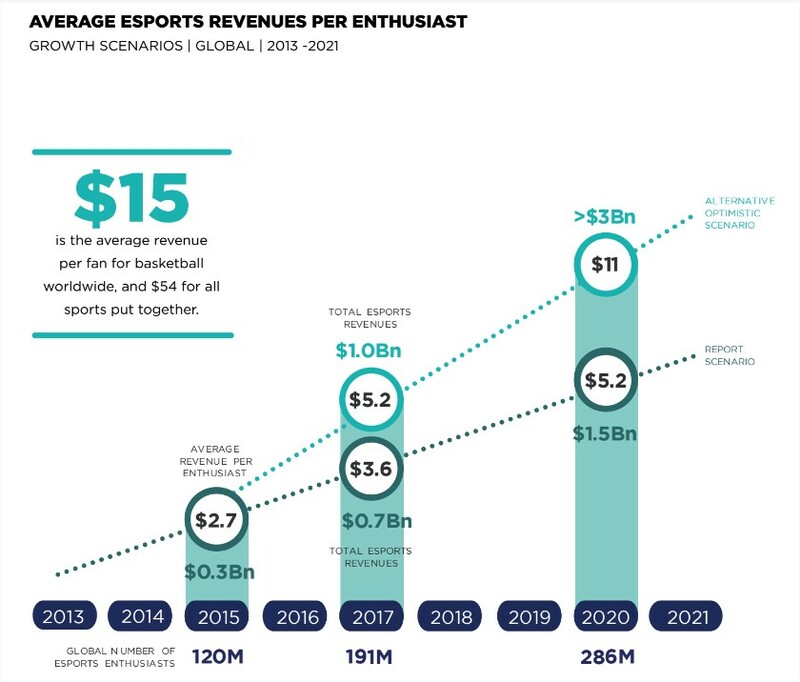 What’s even more amazing is that the number of eSports enthusiasts is expected to grow by 50% by 2020, totaling a whopping 286 million. With FIFA and Overwatch the main drivers of the eSports phenomenon, the medium is growing in regions including Southeast Asia and Middle East and Africa, and as a result, it’s expected that global eSports awareness will reach 1.3 billion in 2017, up from 1.1 billion in 2016. What’s really interesting for the companies involved is that spectator gaming has a very desirable demographic. 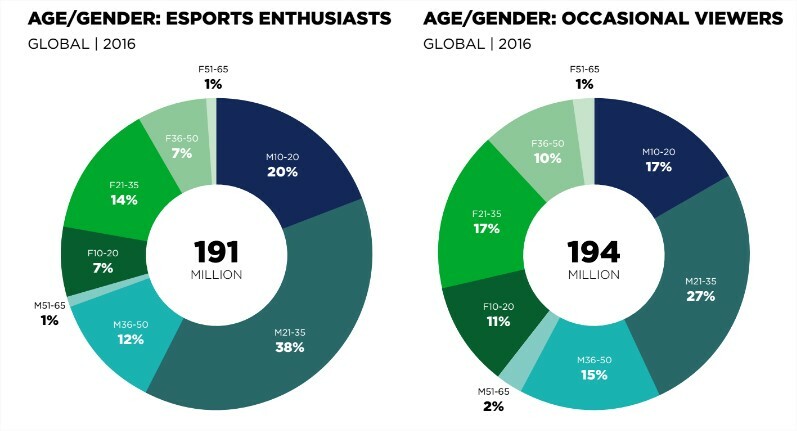 The Newzoo report shows that in terms of numbers, the overall eSports enthusiast demographic stands at 191 million, and occasional viewers make up a total of 194 million. Now, the eSports enthusiast demographic leans towards young and male, with half of the group aged between 21-35, and 71% men. On the whole, the enthusiasts are in full-time employment and benefit from a decent income. This makes them a desirable target group for different parties, particularly the big brands. 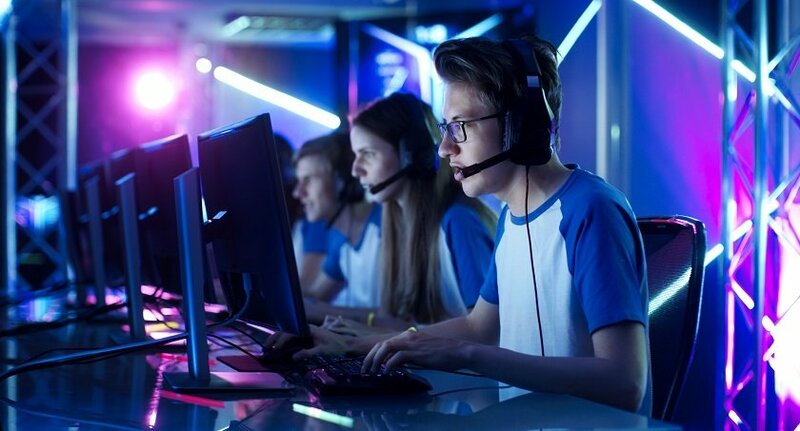 ESports enthusiasts are digital natives, which means they are more likely to consume content online, rather than via traditional media outlets. 2017 will see the eSports economy grow to $696 million, a year-on-year growth of 41.3%. That’s no small fry increase by any means. That’s a lot of scope. It’s plain to see that eSports is blowing up big time, and as more people become enthusiasts, there will be a greater number of revenue boosting opportunities than ever before. And as the demographic are generally financially comfortable, there’s everything to play for this year, and beyond.